Lenton is an area of the City of Nottingham in the county of Nottinghamshire,England. Politically, it falls within the Nottingham South constituency. The name 'Lenton', is derived from the River Leen, which runs nearby. Lenton is largely a residential area. 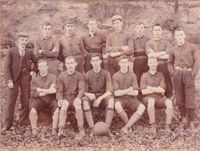 In the 1990s the Society established a project to learn more about the Lenton men and women who died as a result of the First World War. 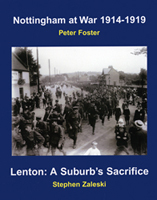 It has now culminated in a new publication entitled Nottingham at War: 1914-1919 & Lenton: A Suburb's Sacrifice, published by Lenton Times in association with Leen Editions. We are currently changing the way the website looks. To see what the new version of the Dunkirk Road looks like click here. The revised pages will be added to the site bit by bit and will take several months to complete. However it may mean that anyone who has links to a particular page may need to repoint to the revised version. We have revamped all the pages relating to Lenton Times backcopies. There is now one index which will link you to a separate page for each issue. Issues No.1 - 7 have now sold out. So we are providing access on the website to all the articles that were included in these particular issues.